During a recent visit to the Maurice de Maurice, Zurich based boutique, workshop and headquarters, I was so impressed by the styling, value, and quality of Maurice de Mauriac timepieces, that I had to have one. So, I ordered one, with my exact dial, bezel, case and strap preferences. Two weeks later, my watch arrived at my house in Denver, Colorado. The movement is a Valjoux 7750 chronograph that was sourced from the Swatch division’s ETA movement factory, a movement used by many brands across the industry. Not many brands allow you to decide so many different elements that effect how your watch looks and feels, though, instead you pick from a few different models and color variations? That’s it. And even in the rare case that you can select more than just the strap or the case of a watch, you are going to pay a substantial premium. Not under $5,000, though. What I’m talking about is customization. Like you can do with most German luxury sedans. You can select colors, materials and additional elements. And like Audi, who offers customization even on their entry-level A4, you can select these elements, even at the price range of an entry-level luxury mechanical timepiece. The end result is a great core product, that has elements which you pick to make it unique to you. For the case, I wanted the Modern Chronograph style, but you can also choose from Tourneau or Classic cases. You can pick a case made out stainless steel, titanium or gold (gold is not ordered very often). 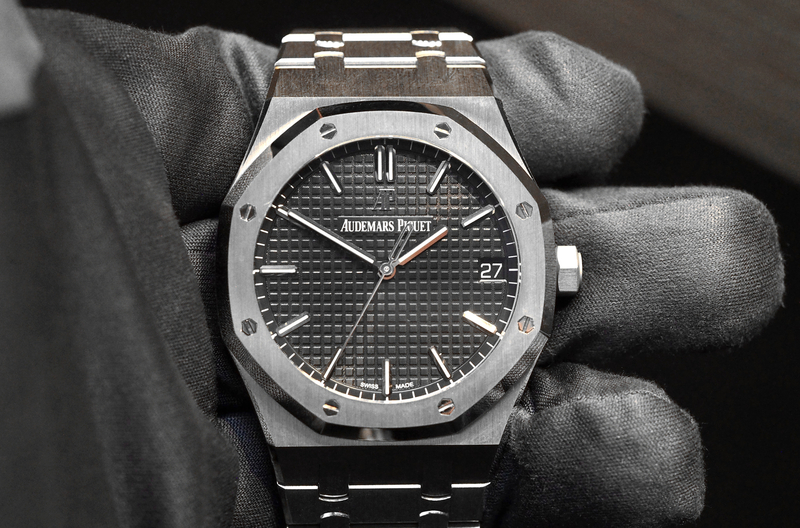 I chose the stainless steel but opted for the DLC (Diamond Like Carbon) coating, which adds $1,000 to the retail price. A thousand dollars seems like a lot, just to finish the case with a black DLC coating, but you will find many, if not most watch manufactures charging much, much more than this for the same coating. This particular finish is actually quite nice too, it is not a brushed (which is very dull), and not a polished (which is extremely shiny), it is actually a satin finish, which is a hybrid of the two. The result is a beautiful dark gray finish that is virtually scratch proof. As for the size of the case, there is a 42 mm case for those with thinner wrists, and a 45 mm for those with thicker wrists, Both Daniel (the owner) and I agreed that my wrists were just thick enough to warrant the larger 45 mm case. After wearing it for the last two months, I know the 45 mm watch was the right choice for me. Honestly, that is about the maximum diameter I prefer these days. Anything bigger is too big for me. It is perfect for a sports watch. Fortunately, the case a wide spacing between the lugs, which means they can accommodate a nice 24 mm wide strap (18 mm, 20 mm, 22 mm & 24 mm) are the most standard sizes for men’s watches. I personally prefer a larger strap, especially if the case is 45 mm. The watch looks very sporty, but not overly large, like some previous watches I have owned (which were above 46 mm). 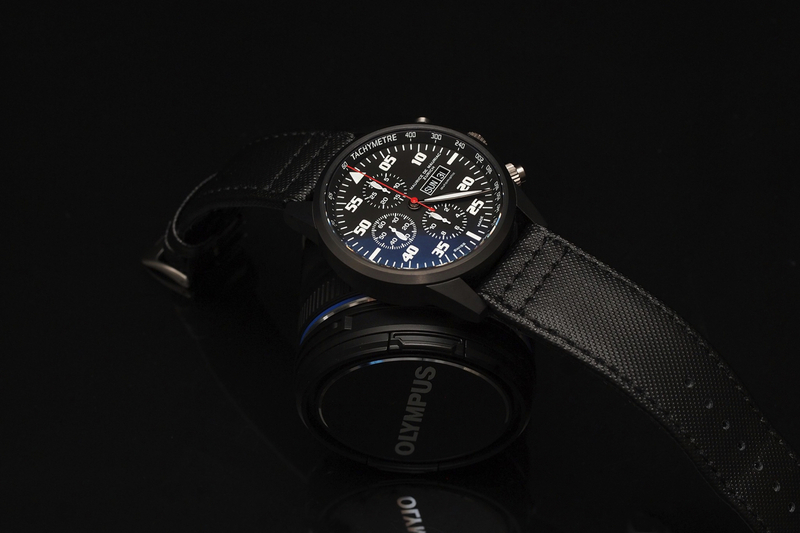 It really looks like a perfect sports chronograph, just the way I like it. For the dial, I chose black with white & red markers, and hands. The color scheme looks like a classic sports car instrument. There is Superluminova painted on the hour and minute hands and painted over the hour markers. Applied markers are actually a little better, but that is an option I can get in the future. The great thing about Maurice de Mauriac watches, is that you can always send them back for a new dial, new bezel or whatever feasible customization you can think of. For the bezel, I went with the DLC coated bezel. But like I said above, you can choose a different bezel down the road. In this case, I think I will add another bezel or two. That brings me to another excellent selling point of these watches, the bezels are easily swappable, by a person with no watch expertise. If you select additional bezels, you will receive a small rubber ball (the size of a baseball), with the feel of an exercise ball. 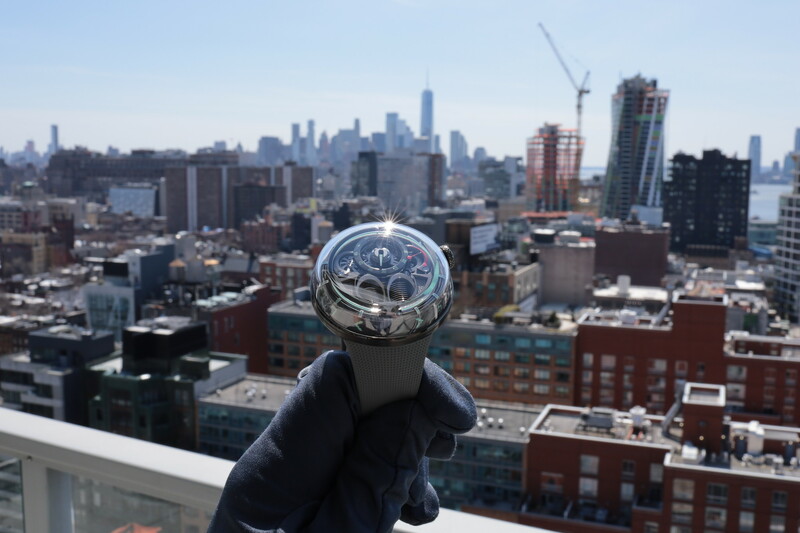 Using this ball you can easily screw or unscrew the bezel, so you can take it on and off, allowing you to swap bezels. It’s awesome. You can choose between stainless steel, polished steel, steel coated DLC (like I selected), 18k white gold, 18k rose gold, 18k yellow gold (if anyone wears that anymore), diamonds, and more. I will be adding a brushed stainless steel bezel, to match the brushed stainless crown and locking pushers that I already have. I may also get a white gold bezel, to wear for special occasions. The strap choice is a very hard, as there are a number of good options: alligator, calfskin, steel, nylon, rubber and even Kevlar straps. Plus you can choose the buckle or clasp material. I chose a Kevlar strap with a stainless steel buckle, and I am very happy with this selection. I may add an alligator strap with a DLC folding clasp in the future, but this costs more than the basic stainless steel buckle, of course. For the crown and pushers, I chose a brushed stainless steel finish, that matches the stainless steel buckle. It will also match a stainless steel bezel, once I purchase the additional bezel (for now I have a DLC bezel that works fine). The stainless steel crown and pushers really contrast with the DLC finish, very nicely. I also had locking screws added to the chronograph pushers. This increases the watches water-resistance, as well as creating a sporty look that at first I questioned, but now I know is the better way to go if you prefer a sporty looking chronograph, over a classic one. Even the crystal is available in two variants now, a flat double anti-reflective sapphire crystal, but a domed crystal is now available as well. The movement is the same on all chronographs, a robust Valjoux /ETA 7750 automatic mechanical movement, with a “Top” grade finish (“top” – is the same as a COSC certified version, minus the certification). This is the highest level of finish available for the base 7750 movement. It comes with circular graining, blued screws, and a signature rotor. All movements are adjusted to chronometer specifications, this requires a very expensive testing machine (and is not officially certified by the COSC, but the same testing methods are used). The movement is fully visible through a large sapphire crystal, affording a great view of the movement, and a good portion escapement. 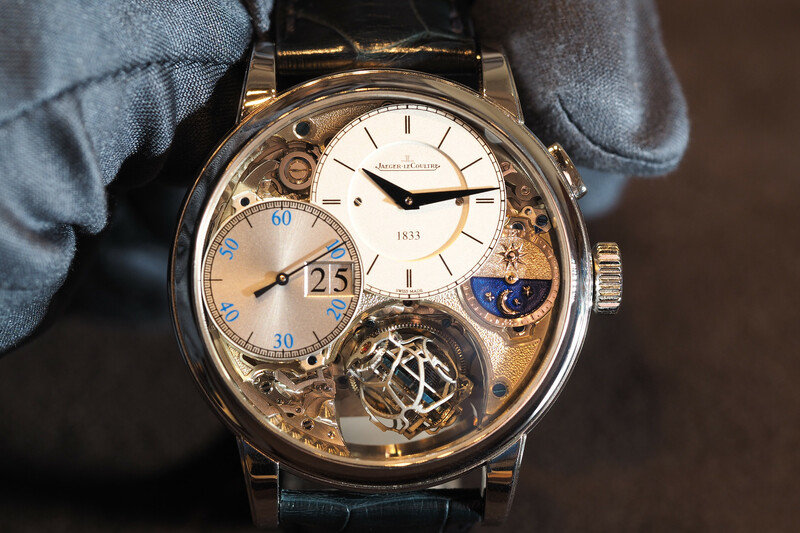 Many watches in this price range don’t have an open caseback, let alone a good view of the escapement. The rotor is signed with “Maurice de Mauric” and looks good. However, I am looking forward to adding a skeletonized 22K solid rose gold or white gold oscillating weight (rotor), the cost is $1,200. By going with a solid gold rotor, which is much heavier than steel, the rotor can be skeletonized and cut down to a much smaller size, allowing an even nicer view of the movement, and looking pretty good as well (if you ever take the watch off). After visiting the Maurice de Mauriac atelier, learning about the brand, and actually buying one of their customized timepieces – I can tell you that this is by far, my favorite watch in this price range. No one else provides this much quality, value or customization – anywhere close to this price. The retail price is $4,200.